He looks pretty bored too. I came to THE HOBBIT as a fan of Peter Jackson's THE LORD OF THE RINGS, and a fan of fantasy in general. But even the most ardent fan must admit that when read in retrospect, JRR Tolkien's The Hobbit is an enjoyable but slight work. It is, after all, a short-ish children's story about a group of dwarves going off to battle a dragon who has stolen their gold. On the way they meet goblins and trolls and the adventures largely consist of riddles and tricks rather than epic battles. In fact, even though it later became the stuff of epic-world building, The Hobbit isn't epic. It's small and intimate and cracks along at a rapid pace. I was, then, rather worried about Peter Jackson's decision to "open up" the novel with lots of back story to THE LORD OF THE RINGS. It seemed to me that the tightly written book with its rambunctious tone wouldn't survive having the dark, brooding, heavy backstory of Middle Earth being hung from its slender frame. And I was right. Watching THE HOBBIT is like watching a childhood friend being excruciatingly slowly stretched on a wrack until his bones snap. 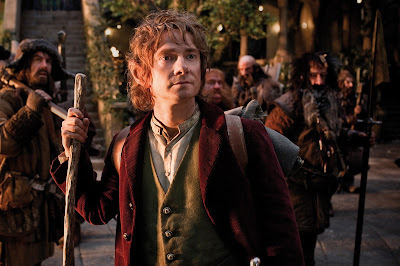 Sixty years earlier and the dwarves finally make it to young Bilbo (Martin Freeman) and the story can begin. But over the remaining two hours, we are in very tedious and tonally inconsistent territory - with the childish japes among the trolls interspersed with earnest conversations at Rivendell with Elrond (Hugo Weaving), Galadriel (Cate Blanchett) and Saruman (Christopher Lee.) At the end of it, the dwarves just about make it to the mountain where the real story can begin - Bilbo's fateful meeting with Gollum, and most important of all, his decision to spare Gollum's life. Even then, the movie doesn't end but creates a final act involving Orcs and Eagles. The result is a film that feels like one damn Orc chase after an other. Unlike THE LORD OF THE RINGS, there is no natural build-up to major battle scene so everything lacks tension. The humorous passages are far too few, and the earnest foreshadowing of LORD OF THE RINGS feels too much like a faint echo of a far greater work. In fact, to my mind, the only things that save this film are the pivotal scene between a masterful Andy Serkis' Gollum and Bilbo, and the brilliantly funny turn by Sylvestor McCoy as the mushroom-eating, super-rabbit chauffered wizard Radogast The Brown. The rest of the film is basically just arse-numbingly dull. A quick technical word for the cinema-enthusiasts. I watched the film in 3D which was definitely a plus as a lot of the scenes (butterflies, eagles, rabbits) really suited it. As for the High Frame Rate (filming at 48 frames per second rather than 24 frames per second), it's a mixed bag. In scenes that were interior or night-time, with subdued lighting, the clarity and brightness afforded by shooting at 48 FPS offset the typical murkiness that comes with wearing 3D glasses. But in daytime scenes in full sunshine, the 48 FPS footage was so bright that it looked like cheap TV and the make-up and special-effects were all too obvious. 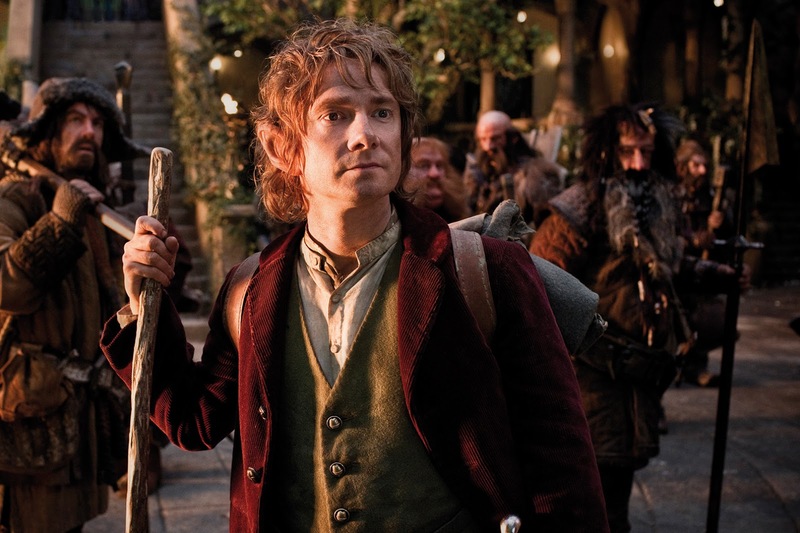 THE HOBBIT: AN UNEXPECTED JOURNEY is on global release.